The Phoenix Lights Festival takes place at The Park At White Horse Pass, located at W. Wild Horse Pass Rd. in Chandler. The event takes place Friday, April 5th and Saturday, April 6th. Those who reserve tickets in advance can pick them up at the Will Call window at 4 PM on either day. Events are scheduled to start at 5 PM on Friday and Saturday. Festivity organizers anticipate concerts will extend to 2 AM. The festival will take place regardless of the weather. If you are planing on attending this year’s Phoenix Lights Festival, be sure to check out the weather forecast ahead of time so you can don the proper attire. 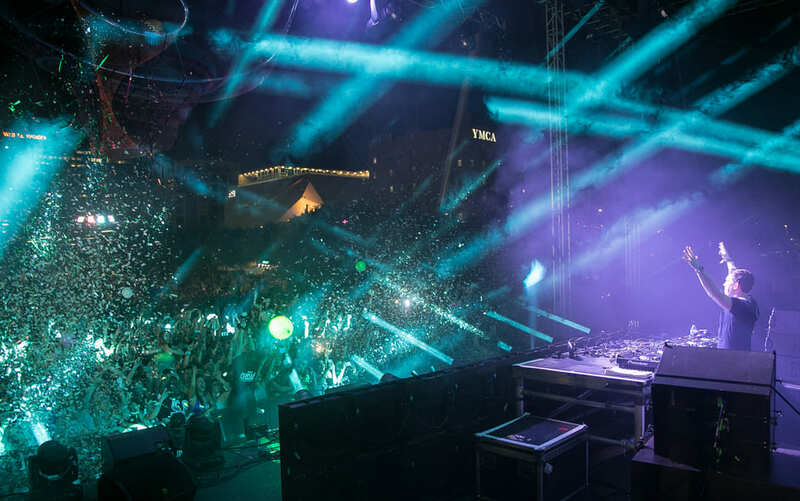 Artists of all types will be featured at this upcoming Phoenix Lights Festival. From Vanic to Spencer Brown, Throttle, Sage Armstrong, Sasha, Sikdope, Party Favor, Elephante and beyond, there really is something for everyone. 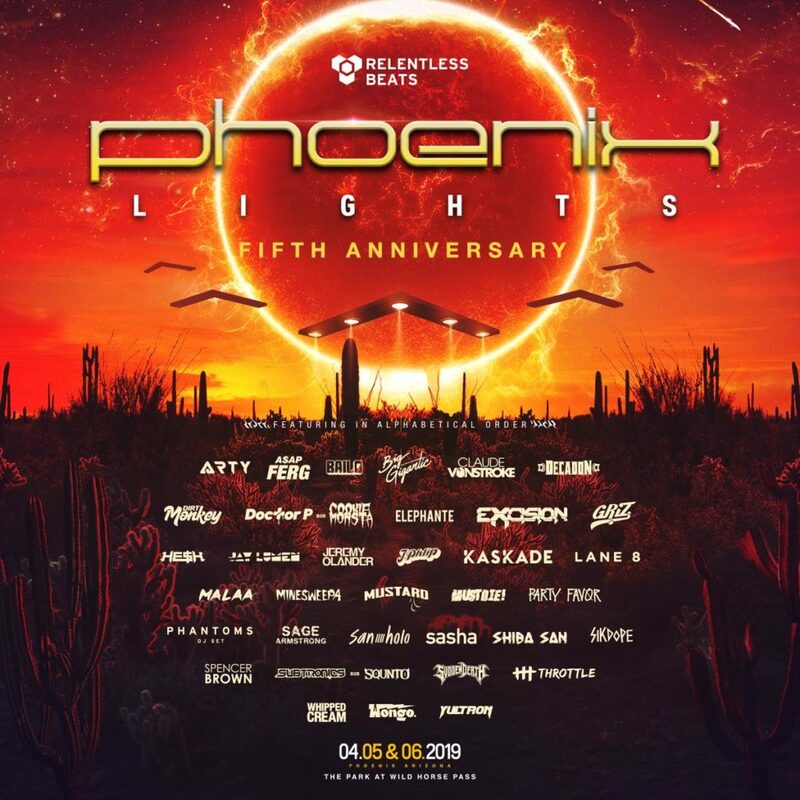 Additional Phoenix Lights Festival 2019 artists include; Excision, Doctor P B2B Cookie Monsta, Dirt Monkey, Arty and Black Caviar.